A genuine 3-in-1 natural cosmetic, the Lavera Vegan Tinted Moisturising Cream Q10 provides skin hydration while enhancing the complexion of a veil of color. Its complex of natural assets Q10 and its wealth of minerals deeply moisturizes the skin and protects it from external aggressions. The antioxidant properties of vitamin E provide flexibility and elasticity to the skin while protecting it from cellular aging. This moisturizing cream offers a light coverage for a unified and natural complexion. Pleasant to apply, its texture provides immediate comfort to the skin. Elaborated in different shades, each complexion finds the shade that corresponds to it. 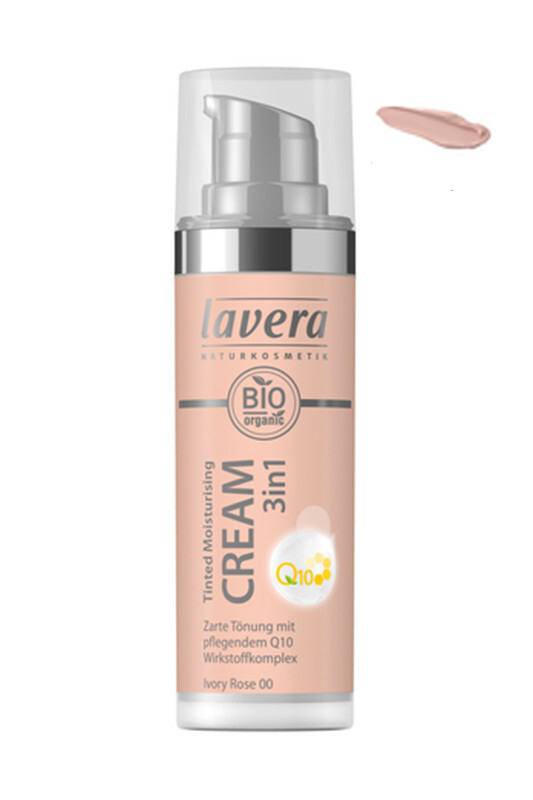 With Lavera Vegan Tinted Moisturising Cream Q10, your skin is nourished and sublimated! A unified complexion and naturally smooth skin! After applying your day care, apply a dab of tinted cream evenly on your face. Start at the center of the face and stretch the cream to the outside and up to the neck.